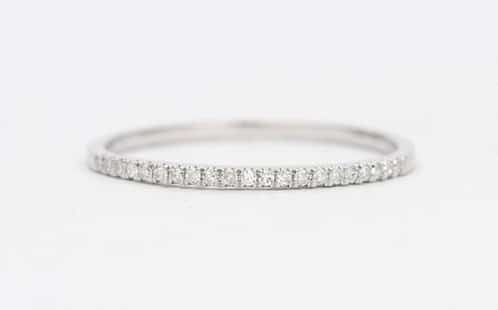 An eternity ring is one of the best anniversary gifts you can ever give to your wife. They have existed for over 4000 years and they have always symbolized love and unity. If your anniversary is just around the corner, worry no more because eternity rings are coming to the rescue. 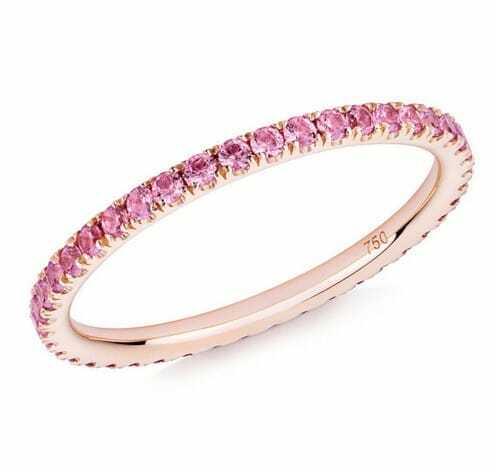 Commonly, men from different parts of the world chose eternity rings as a gift to their wives on their first and third anniversary but you can always give eternity rings as a Christmas gift, a birthday gift, or a holiday gift. Eternity rings can symbolize your everlasting love for your partner. It also signifies a powerful bond and commitment between the two of you. In a traditional sense, eternity rings have always been used to mark an important milestone in an existing relationship. An eternity ring is a type of ring that features diamonds or gemstones all around its entire band. This ring is a true beauty since it flashes shimmering lights from the diamonds and gems on all of its sides and angles. With its utterly beautiful appeal and stunning brilliance, it has always been a popular option for women’s gifts. 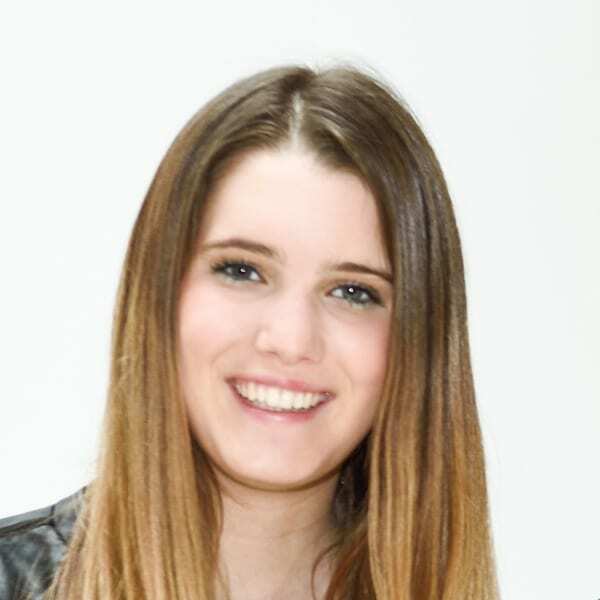 Although it has been extremely popular, we know that not all men have heard about them so that is why we are here to guide you. You may not know when is the ideal time to give these rings or which type is best to give. Whether you are only looking for an ideal gift of your partner has been receiving hints from her, we got your back covered. 3 When Do I Give an Eternity Ring? Eternity rings, as mentioned above, have always symbolized a man’s everlasting love to a woman. Traditionally, it is sought by men so they can give it to their wives on special events and other important milestones in their marriages. A man can give it to mark a special happening like the natal day of a first child and the remembrance of wedding anniversaries. In the past, eternity rings have always been given as a love token. It is typically worn on the left-hand third finger. According to the Romans, the left third finger contains the Vena Amoris (Vein of Love). The vein of love is connected directly to the human heart. Even though this is only recognized as a romantic myth, the influences of this Roman belief have amazingly continued for centuries in different cultures from different parts of the world. If we would look for the very first known eternity ring, we would need to go back in as early as 2000 BC in Ancient Egypt. At that time, the ring already symbolized eternal love but it was not used to mark a special milestone in a relationship. The earlier versions of eternity rings featured simple designs on the band with set simple stones. Some cultures also portrayed the eternity ring as a snake that is swallowing its tails. Literally, people from the earlier times have designed eternity rings like a snake. This has been a popular representation of eternal love. The designs of eternity stones have evolved in the 18th and 19th century. In as early s the 18th century, manufacturers were already producing gorgeous eternity rings with ravishing and stunning gemstones. Not only that, it also became more available to the general public. Technically, gemstone eternity rings came first. But in the 19th century, diamond eternity rings became more popular. Talk about unleashing diamonds? 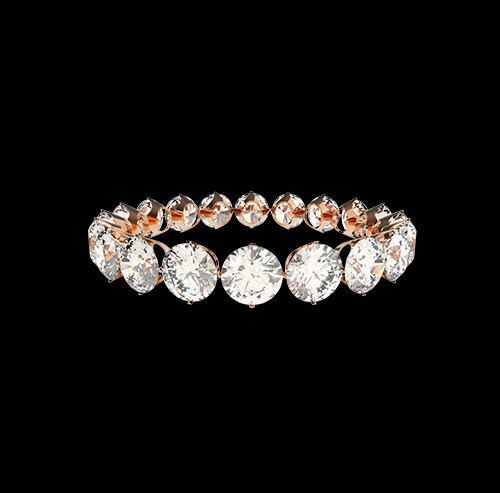 Since then, diamond eternity rings have been considered as the staple of eternity rings. Today, eternity rings can be worn together with the engagement ring and wedding ring on the left ring finger. It is typically placed in the middle of the two rings. Although, a woman can also wear it on its own on the right hand. Either way, it would still symbolize eternal love. When Do I Give an Eternity Ring? Eternity rings are typically presented as a gift to a woman when there is something to celebrate in a relationship. Any important milestone in a relationship can be celebrated with an eternity ring. Important events like wedding anniversaries, the birth of the first baby, and even the birth of a new baby, can be celebrated with eternity rings. These rings are stunning that they can be given on all other occasions in a year. 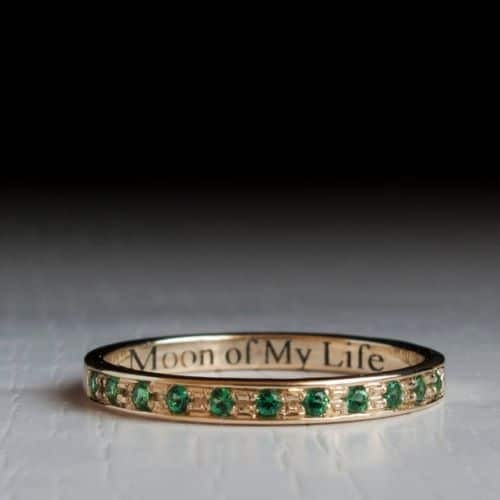 You can even immediately opt to give this ring on your first wedding anniversary. If you want to follow the traditional anniversary calendar, you can always buy the ring on special years of your marriage. You can partner the eternity ring with symbolic gemstones for certain durations of your relationship. For example, you can get a ruby eternity ring for your 40th anniversary and a sapphire eternity ring for your 45th anniversary. 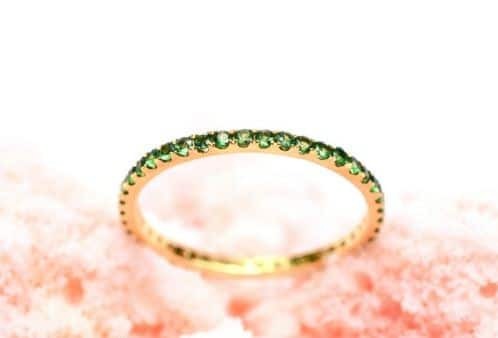 You can also give an eternity ring with emerald gemstones on your 55th wedding anniversary. The classic diamond eternity ring is also perfect for your 60th anniversary. Eternity rings do not only have to be given on your wedding anniversaries. It also symbolizes a continuous life cycle so it would be perfect to give to new mothers. 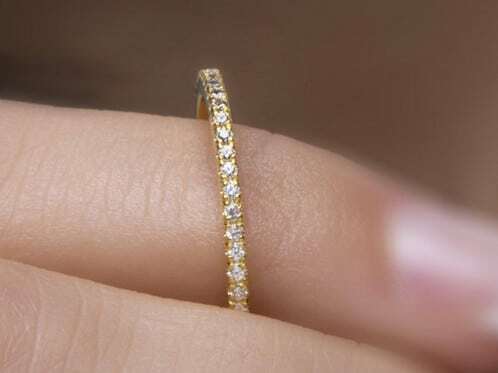 The best ring choice for women with her firstborn is also the diamond eternity ring. Do not simply give it as a present. It would be much more appreciated by your wife if you accompany it with your sweet and honest words. You can tell her your promises of eternal love. It will not only make your wife feel more special but it will also remind her of your everlasting love and commitment. A simple “I love you” will make her treasure your indefinite love forever. Eternity rings come in two main designs: a full eternity ring and a half eternity ring. Full eternity rings come with different gemstones and diamonds on all sides and angles. The whole shank, ring, or band is filled with gorgeous stones. This ring can feature shimmering stones on all angles. 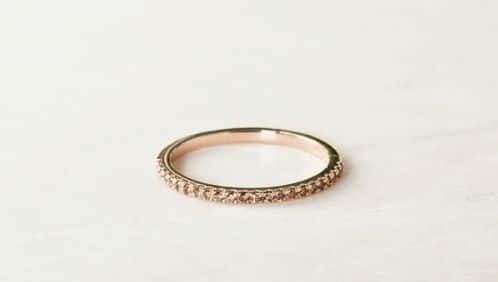 Typically, this ring features a slim ring base. They look even more beautiful when placed together with your other rings. 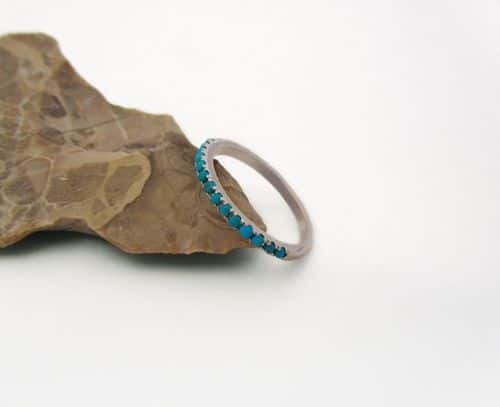 Since this ring features stones on all sides, it is impossible to resize them. That’s why you should be really careful about getting the correct size for the eternity ring for your wife. You would not want to get an incompatible size for her fingers. The good news is that you can always check the size of her engagement ring and wedding ring to avoid mistakes. In case you did get the wrong size, you can always ask the retailer if it is possible to do an exchange. In case you did get the wrong size, you can always ask the retailer if it is possible to do an exchange. If you are shopping for an expensive ring, full eternity rings would be your best bet. 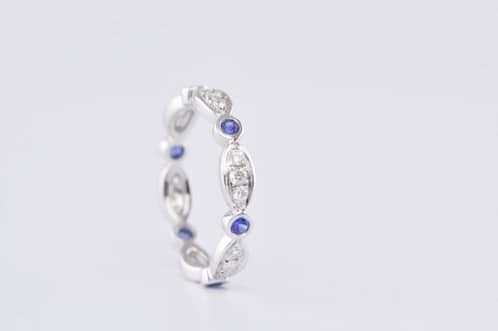 Half Eternity rings only features gemstones and diamonds on the half-side of the ring as its name suggests. The number of stones it can contain depends on the size of the eternity ring. It’s stone content may range from five to nine stones. Most half eternity rings also feature uniform sizes of gems and diamonds. 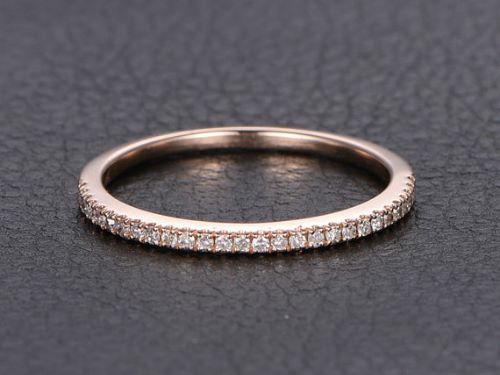 Although, some half eternity rings may feature a tapered design to add more variety. 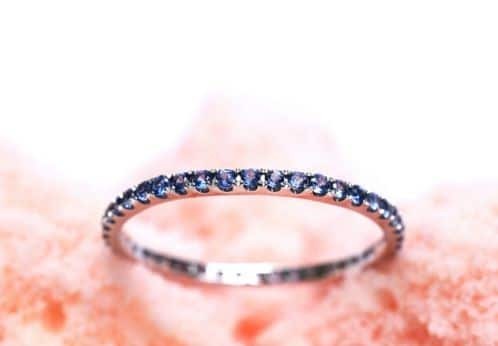 Since half eternity rings feature lesser stones, they are also sold at more affordable prices than full eternity rings. This type of ring is perfect for husbands who are seeking a more affordable ring. This ring can also be resized unlike full rings since it does not have stones set on all sides. Eternity rings come in different stone settings. Every setting brings up a different personality to the ring. There are three main types of ring settings you can find: claw setting, channel setting, and bezel setting. A claw setting is one of the most commonly used stone settings for any type of ring. A claw setting is also known as the prong setting. This type of setting has been one of the oldest ways to hold stones in a ring. It can be regarded as the traditional way of setting stones in a ring. In this type of stone setting, metals run up the sides of the stones to hold it. If you look on top of the gem, you would see a bit of overlap from the metal which holds the gem. This type of ring setting is definitely snug. 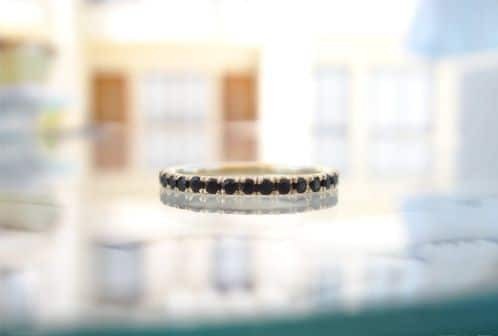 If you plan to get an eternity ring that has claw-setting, it is important that you take good care of the ring to ensure that the metal claws do not get deformed. This type of ring setting is best for holding round cut stones. Because claws or prongs do not cover the stone completely, this setting allows the stone to shimmer at its best. The claw stone setting is the perfect option for people who like shiny charming stones. This stone set encourages more light penetration on any stone, thus, it makes more glimmer and shine. You can say that your gems can achieve its most intense sparkle with prong setting. Your eternity ring would stand out better than other rings with this setting. There is a good variety of claw prong which is known as the shared prong setting. Same principles apply; it is just that the stones share prongs. This makes the gems or diamonds closer to each other, which means that there will be more beautiful glimmering stones that can be featured on the ring. If you want to stay away from the traditional ring settings, then the channel setting is perfect for you. This type of setting is achieved by using two metals to hold the stone in its best position. It is a more modern type of ring setting where two channels of metal are used in the two edges of the ring to support the stone. There is a groove created in this setting that gives any stone a seemingly floating appearance. This type of ring setting is perfect for princess cut stones, round stones, and baguette cut stones. This contemporary type of ring setting is perfect for careless people. Since the stone in the ring is secured perfectly, this setting is lesser prone to snagging. The stones are basically set flush in the ring. This type of setting also gives any gemstone or diamond a good shine because of the additional light that passes through the mounting. Another great option for an extremely secure setting is the bezel setting. Bezel setting is also known as a bar setting. Not only does it holds gemstones and diamonds snugly, but it also gives them a charming frame. Unlike the claw setting or paved setting with closer stone appearance, the bezel setting gives each stone a good exposure. The bezel setting frames every stone which makes them more separated from each other. Because of this design, it allows the diamonds and gemstones to be seen distinctly and differently. If you are looking for a rather unique looking eternity ring, you should try an eternity ring with a bezel setting. This ring setting is fashionable and contemporary. In this setting, diamonds and gemstones used may be in different cut and sizes. With this ring setting, there is equal exposure and design applied to both the metal and the gem used. Rest assured that your rings would still shimmer at their best since this type of setting also allows a good amount of light penetration to the gems. Now that you have more knowledge about the eternity ring, you should have an idea of which type of design you would like. 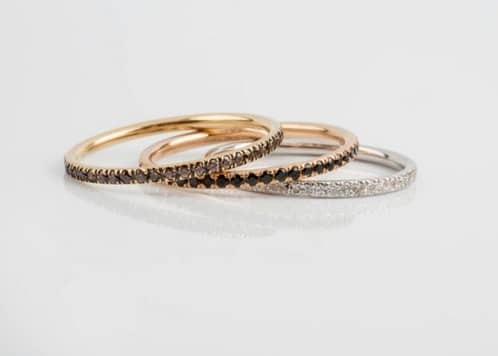 Whether you go for a full eternity ring or a half eternity ring, our top picks for eternity rings will surely make it easier for you to deliver your romantic message to your wife.